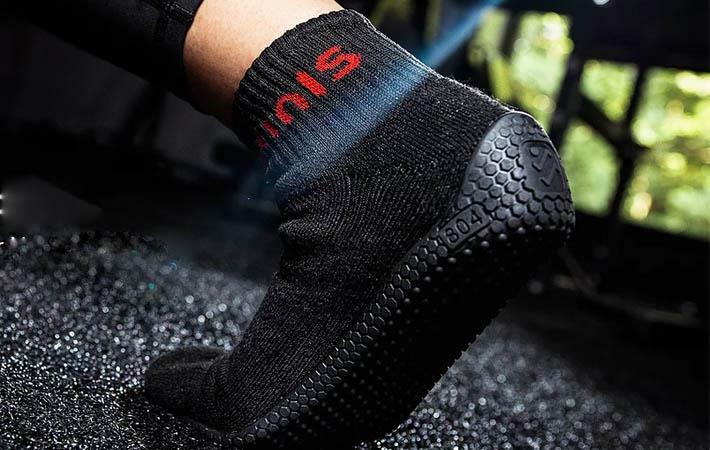 “Barefoot” footwear company Kinis has launched the Nomad 804 – a new line of high performance sock-like footwear that boasts unparalleled durability, cut resistance and toughness while maximising foot strength for wearers. The Nomad 804 along with Honeywell Spectra fibre helps athletes build stronger feet during training sessions reducing injury risk. Kinis, a Richmond-based startup, develops quality, high-performance natural-fit footwear products for athletes who are looking for alternatives to rigid athletic shoes. Using Spectra, the Nomad 804 allows athletes to gradually and comfortably strengthen muscles in their feet through a free and natural range of motion. The Nomad 804 allows feet to move freely, preserving sensory feedback, while protecting from cuts, punctures, abrasions and slips, said a press release from Honeywell. The sock includes Spectra-powered Cool-Knit fabric, allowing feet to stay cooler and fabric to dry faster, while holding its shape over time without stretching. The fabric’s fibre-enhanced construction offers a lightweight and cool feel, reinforced by a slip-resistant flexible rubber sole for peak performance. The Nomad 804 is a versatile, strength-building option for the barefoot training crowd and can be used for a variety of workouts including yoga, cross-fit, weight training and martial arts. The barefoot trainer can also be worn casually around the house or to the office for continuous strengthening of the feet. This is because the product’s design makes it easier for wearers to avoid landing on their heels with each stride, while giving the ability to flex toes in a way that activates the proper muscles.